Speaking at the Pentagon, Trump unveiled the Missile Defense Review, a long-awaited analysis of the defensive network of U.S. interceptors that are designed to shoot down an incoming ballistic missile. 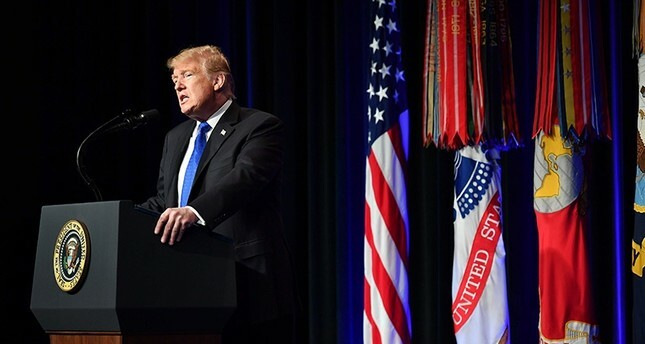 "The U.S. will now adjust its posture to defend against any missile strikes including cruise and hypersonic missiles," Trump told the military audience. Flying at low altitude, many times the speed of sound, and able to change direction, hypersonic weapons don't follow a ballistic arc so are much harder to track and cannot currently be intercepted. The U.S. is looking at putting a layer of sensors in space to more quickly detect enemy missiles when they are launched, according to a senior administration official, who briefed reporters Wednesday. The U.S. sees space as a critical area for advanced, next-generation capabilities to stay ahead of the threats, said the official, who spoke on condition of anonymity to disclose details of the review before it was released.